All groups are run by volunteers and are always pleased to welcome new members and volunteer helpers. Some groups do not meet during periods of school holidays, so always check the weekly Parish Newsletter for current information. 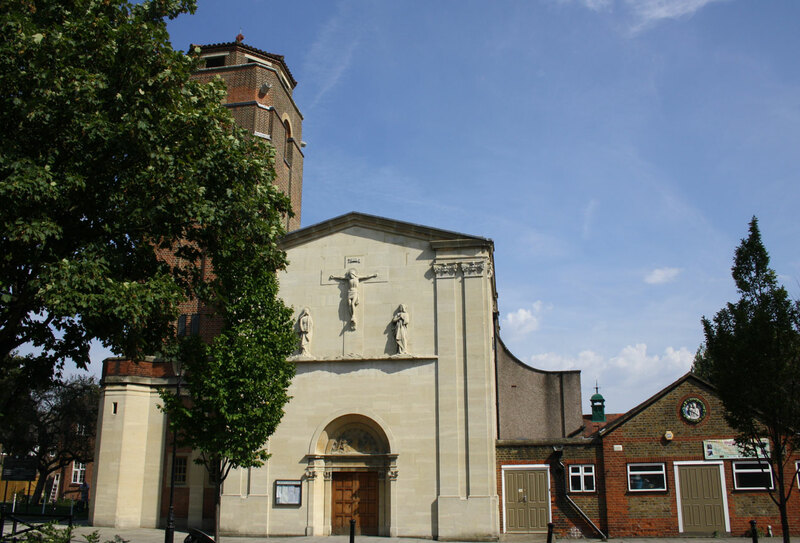 For contact information see 'Parish Directory' for group leader, or call Parish Office 020 8560 1431. Please also see Justice and Peace for details of faith groups. The Friendship Club is a social meeting opportunity for our more mature parishioners and their friends. We meet every Monday afternoon from 12.30 - 2.30 pm in the Parish Hall. You would be more than welcome, so simply just turn up. If you would like to join us, but have mobility difficulties, we operate a Minibus collection service, please contact the parish office for details. All members pay £1 per session and the money is put into a bank account for the use of the club. We start by saying the Rosary. After the Rosary, cakes and a cup of tea or coffee are served. The members play bingo and there is a raffle and plenty of opportunity to chat. Several coach outings are organised throughout the year and there are other local events and activities we are invited join in with, during the year. For contact details, please see the parish directory. The "Tuesday Club" is a social club in Isleworth for people of all ages with special needs. It was started in July 2002 by a group of volunteers from St Bridget's parish. At present, we have approximately 60 members but an average of about 30 attend on a regular basis. The age range is wide, from 14 years to our oldest member who is over 70. The club evenings start at 7pm until around 9pm. Admission is £1 and the money is used for trips, parties, barbecues our Christmas meal and occasional outings. A great time is always had by all ! The "Tuesday Club" is a place to come and meet up with your friends and make some new ones. We have a wide range of games and activities including pool . Refreshments are available. The club meets every other week on a Tuesday evening. For the date of the next club evening see the Parish Newsletter (available on this website) or posted on noticeboard outside the church. For contact details, please see the parish directory. This group for the under fives meets weekly on Fridays from 1.15 to 3.15pm. It costs £1.50 per carer, which includes tea coffee soft drinks and a biscuit. There is a wide range of activites available and it's lots of fun! For further details, please see the parish directory. This group meets in the Parish Hall on Thursday's at 2.15pm. Gentle sitting exercises - ideal for keeping fit! So please come along. For further details, please see the parish directory. Should there be a renewed interest in the club by adults, its opening could be reconsidered. For further details, please see the parish directory. The group meets on Thursday mornings at 9.15am - 10.15am in the Parish Hall. Musical fun for toddlers and their carers. During term time only.